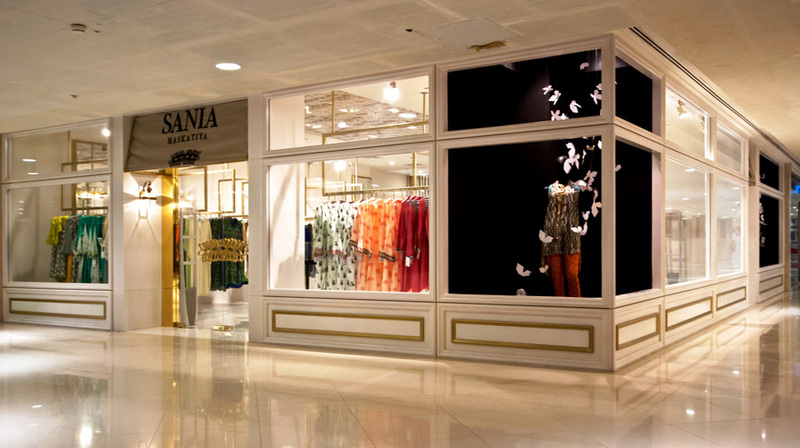 Sania Maskatiya – Dolmen Mall Clifton Store is the second outlet in Karachi for this established clothing brand. 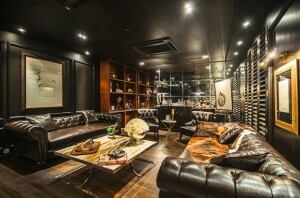 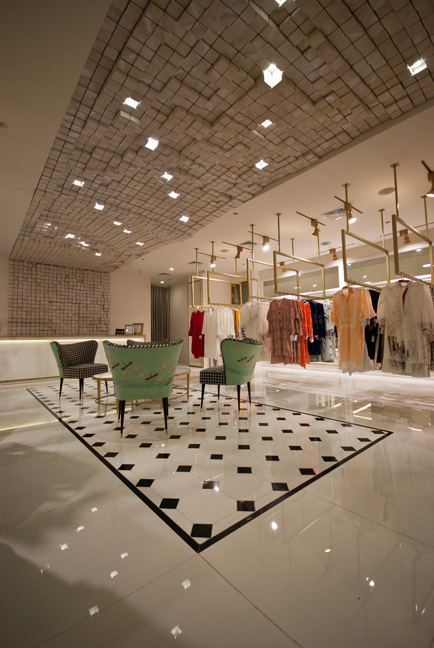 The store is designed with a sophisticated, modern chic design language, using gold as an accent entry portal to a monochromatic space. 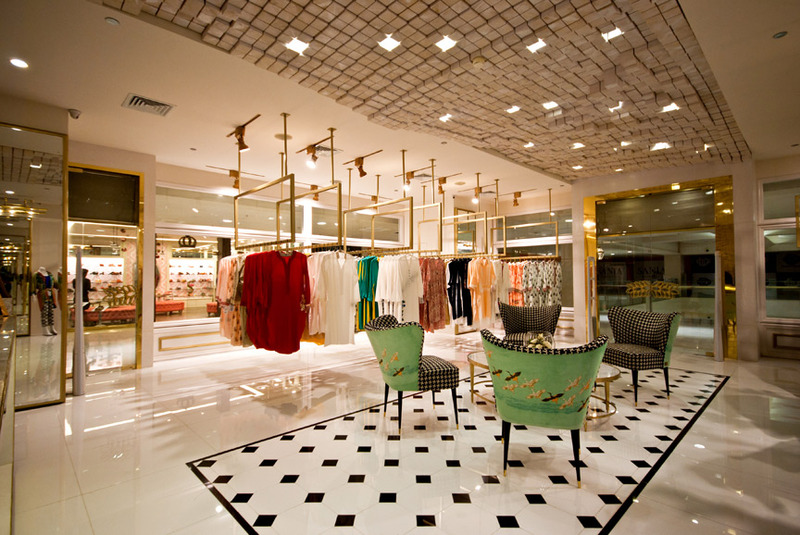 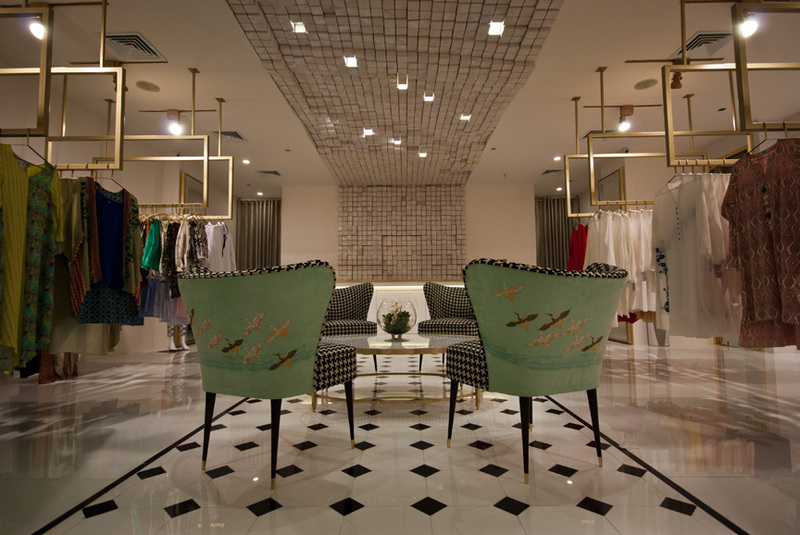 A contemporized marble inlay floor pattern and custom design gold hanging displays are offset against framed views from large display windows into the store.